Lion's Head ON is only a three hour drive from Toronto. It might as well be on the other side of the planet. People are just not aware of the charms of the Bruce Peninsula. And yet, this exotic scenery extends for miles along the Georgian Bay shores of the Bruce. You can't just drive up Highway 6 expecting these vistas to unfold. Take the secondary roads nearer to Georgian Bay. The coastal scenery will make an impact. But if you want the best views, get out of your vehicle and hike the Bruce Trail. 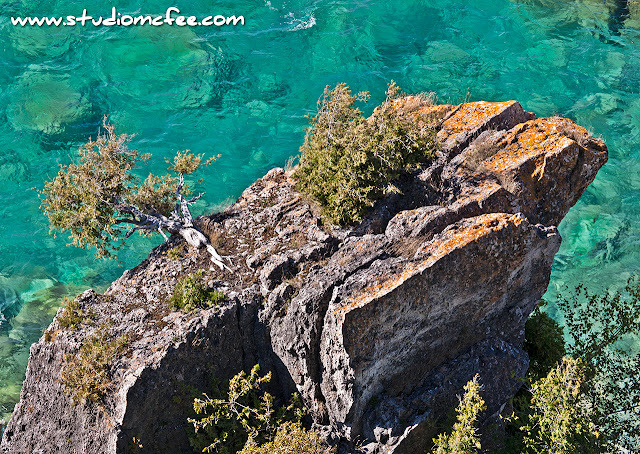 The photo shown above was taken from the top of the cliffs looking down at the emerald green water, limestone rocks and stunted cedars. 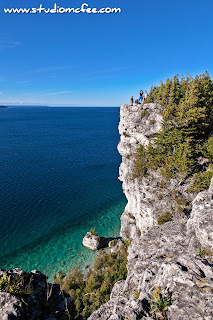 The photo to the left gives you some sense of the height of the cliffs and also shows the beautiful hues of the Georgian Bay waters. 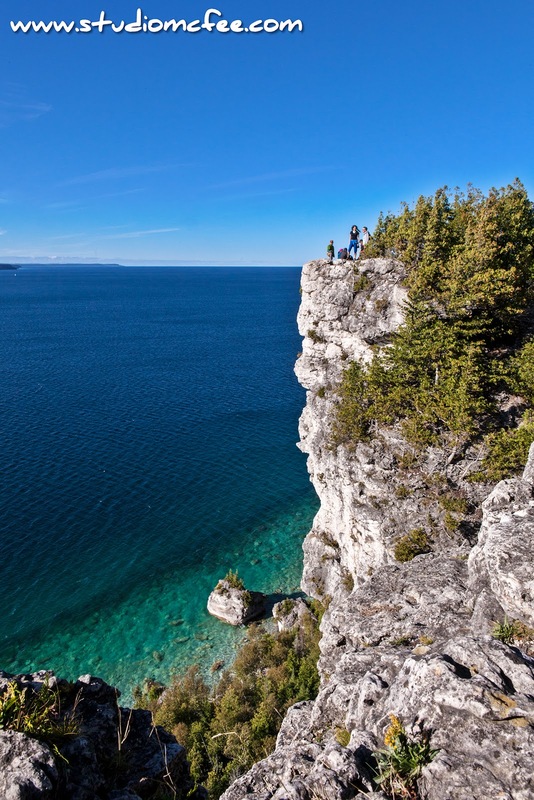 The Bruce Trail winds along this rugged coastline from Tobermory to Owen Sound. Each section has its own treasures. 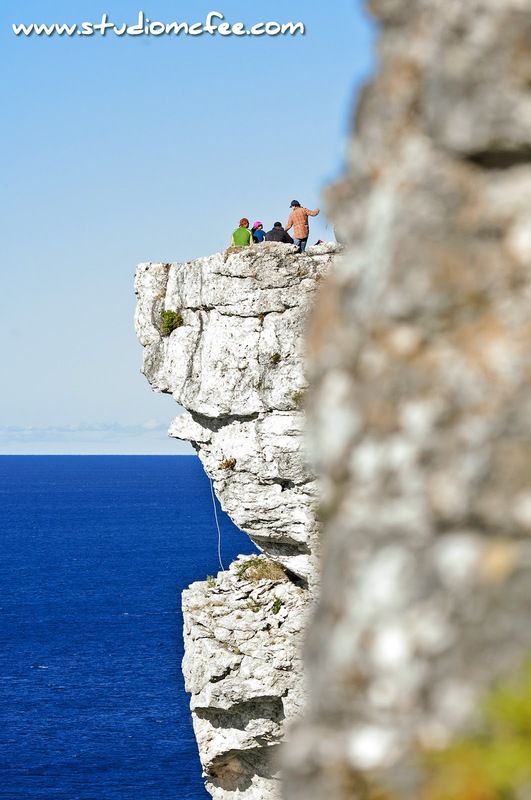 The Lion's Head area is popular with rock climbers. In the photo to the right, you can see ropes hanging over the cliff. Let's just say this isn't an activity for everyone. More photos and musings about the Bruce will be posted soon. Previous posts can be found here: More of the Bruce.